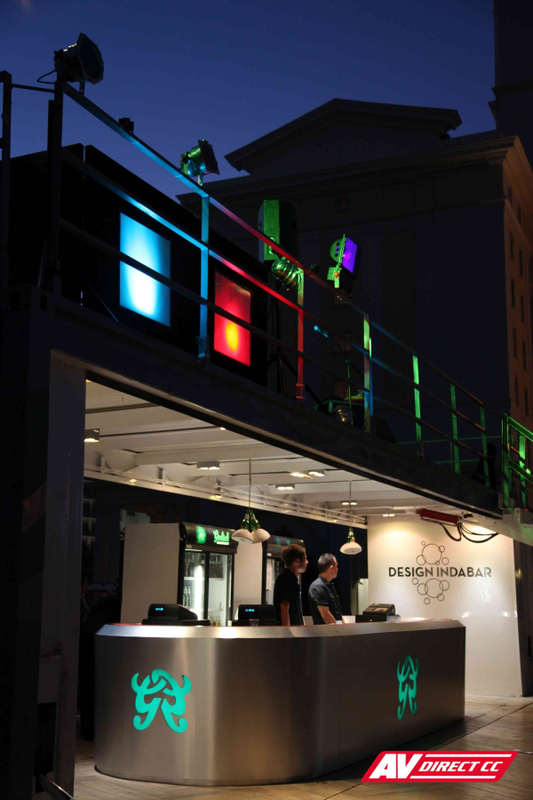 The Design Indaba expo and film festivals ran this past month, and Interactive Africa along with Grolsch designed the concept of Design Indabar. 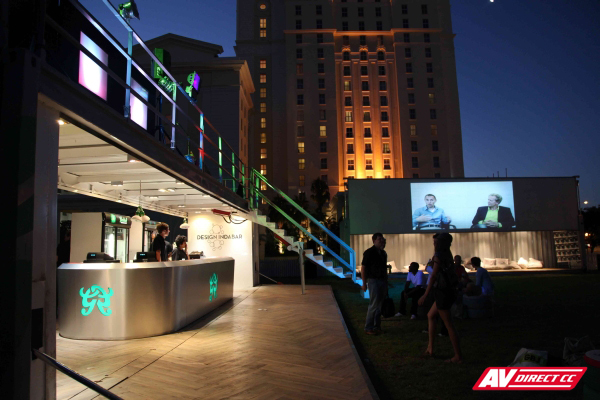 It consisted of the creation of a bar and seating area inside two large white containers. 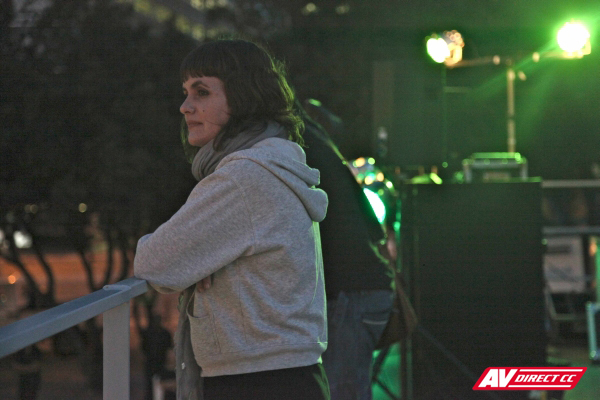 AV Direct was proud to assist Interactive Africa in supplying audio visual services for the event. A Christie LX 700 projector was used to screen the SA short films onto the container. DJ Equipment consisting of Pioneer CDJ900s and DJM 800 mixer was supplied for DJ Honey Bee, who mixed some chilled beats throughout the festival. On the first night, Jeremy Loops played a live act which enthralled the audience with his unique style of beats and lyrical music. 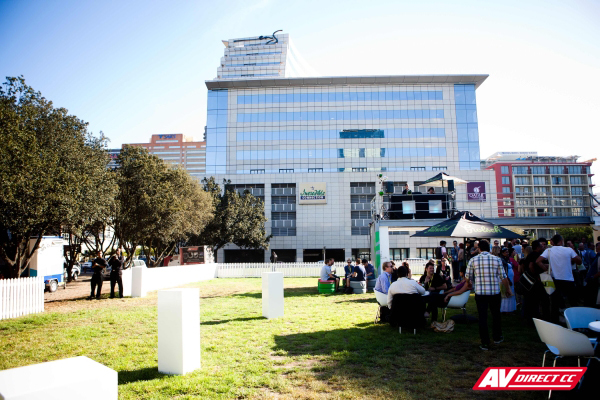 The event was well attended by crowds after the Design Indaba Expo ended at the CTICC. Guests were welcomed by an Ice-cold Grolsch and some divine Brandy sponsored by Barcode. Apart from the awesome drinks were some delicious snacks provided by Calucci’s and Nando’s!